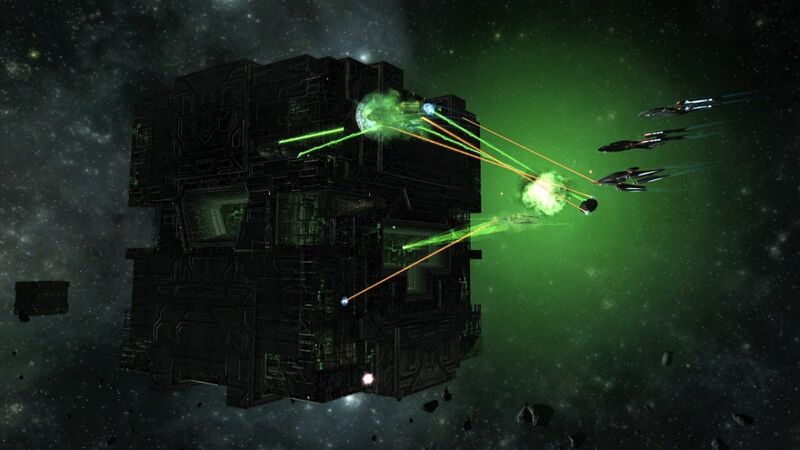 Ever seen the Borg from Star Trek or the Reapers from Mass Effect? This could be where we are headed. 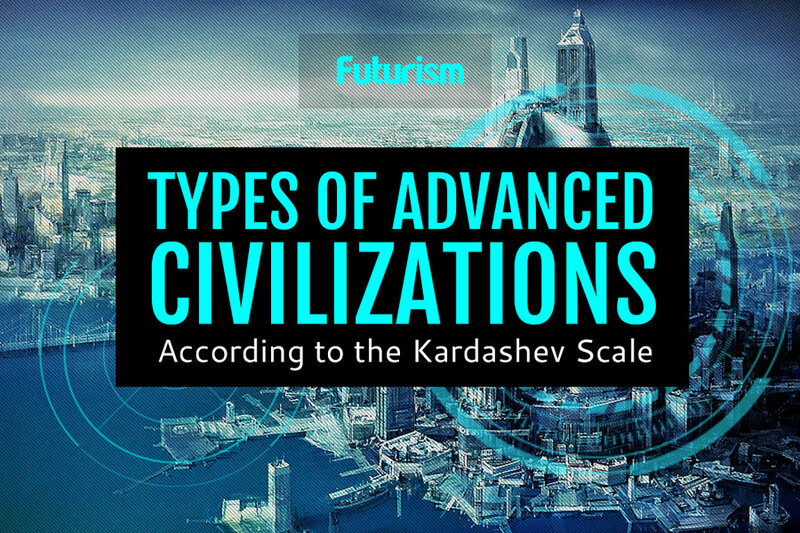 To measure the level of a civilization’s advancement, the Kardashev scale focuses on the amount of energy that a civilization is able to harness. Obviously, the amount of power available to a civilization is linked to how widespread the civilization is (you can’t harness the power of a star if you are confined to your home planet, and you certainly can’t harness the power of a galaxy if you can’t even get out of your solar system). In a previous article, we offered an overview of the various civilization types: Subglobal Cultures, Galactic Cultures, Multiverse Cultures, etc. We’ve already discussed a Subglobal Culture, a Planetary Culture, and a Stellar Culture. Today, we want to talk about what it would be like to live in a Type III Civilization—A Galactic Culture. A Galactic Culture would be able to harnesses the energy output of a galaxy (about 10 billion times the energy output of a Type II civilization, and about 100,000 to 1 million years more advanced than we are currently). These galactic traversers will have colonized the galaxy itself, extracting energy from hundreds of billions of stars, traveling across interstellar space, and populating innumerable worlds. In terms of humans, hundreds of thousands of years of evolution – both biological and mechanical – may result in the inhabitants of this Type III civilization being incredibly different from the human race as we currently know it. Ever seen the Borg from Star Trek? What about the Empire from Star Wars? This civilization could resemble either of them (but hopefully, something a little friendlier). These may be cyborgs (or cybernetic organism, beings both biological and robotic), with the descendants of today’s “regular” humans being a sub-species among these now-highly advanced future cyborg humans. These wholly biological humans would likely be seen as being “disabled”— inferior or unevolved— by their cybernetic counterparts. At this stage, inhabitants of a Type III civilization would likely have developed colonies of robots that are capable of ‘self replication;’ their population may increase into the billions (or trillions) as they spread out across the galaxy, colonizing planet after planet. And these beings might build Dyson Spheres to encapsulate each star, creating a huge network that would carry energy back to the home planet. What about other ways of gathering energy? It has been theorized that the inhabitants could tap into energy released from supermassive black holes, which are believed to exist at the center of most galaxies. White holes, if they exist, could potentially provide a ton of energy from collecting the matter propelling outwards. Another theory involves capturing the energy of gamma-ray bursts, or the emissions from quasars. But, energy sources aside, stretching over the galaxy in such a manner comes with several problems; namely, the species would be constrained by the laws of physics. Particularly, light-speed travel. That is, unless they develop a working warp drive, or use that immaculate energy cache to master wormhole teleportation (two things that remain theoretical for the time being), they can only get so far…and traveling about the galaxy would still be an amazingly time-consuming process. It would take decades, or even hundreds of years, to travel between the stars. However, cryogenic preservation could make such feats possible for biological organisms, while biosynthetic organisms will likely live far, far longer than we can possibly imagine—so such timescales may very well be the blink of and eye to them. Or maybe we’ll break the laws of physics 100,000 million years into the future and invent warp drive. Who knows? A Brief Explanation of the Kardashev Scale: How Far Can Humanity Really Advance? Could Humanity Ever Really Build a Dyson Sphere?